Norwich Sunblinds has over 40 years’ experience in making, measuring and fitting blinds of all kinds (and curtains too, of course), including conservatory blinds and commercial blinds. Blinds and shutters are manufactured in-house to a high standard by fully trained craftspeople. 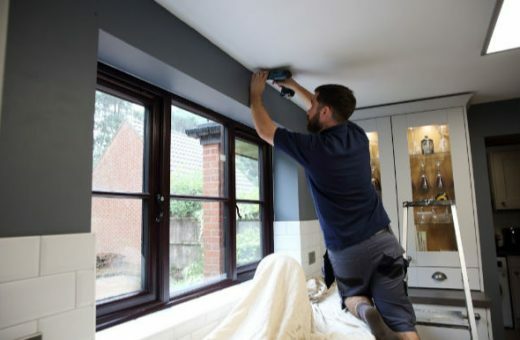 This means that we can help you if you have unusual shaped windows or doors, or in commercial settings, we are being approached frequently to help with large or complicated projects. It also means that we can maintain quality. Our blinds last for many years. 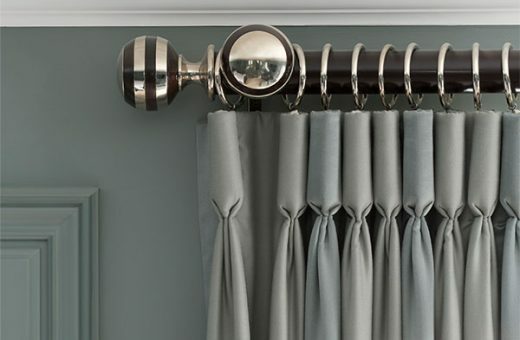 Curtains are handmade locally and checked for quality in Attleborough before being fitted for you. We are an independent company, which means we can offer you a much wider selection of blinds. You will find a lot of companies only offer pleated blinds, which are not the ideal solution in all applications. We can discuss the benefits and drawbacks of each type of product, and advise you on the perfect solution for your needs. Our friendly experienced representatives can advise you on colours and textures to match your furnishings, and also explain how we can get over obstructions like window handles and air conditioning fans etc. Book an appointment online for our free measuring service. No need to go climbing step ladders trying to take measurements. We visit you, do all the measuring, chat through all your options and give you a quote. Different window dressings suit different windows. If we think something isn’t right for you, we will tell you, even if it means suggesting a cheaper option. A lot of our work comes through recommendation – people trust us. Once you have decided to go ahead, we will make your blinds, curtains or shutters and will then fit them for you. This is a complete solution – all you need to do is choose the design, colour and fabric – we do all the rest. Booking your appointment is easy – just click here, choose your appointment at a date and time to suit you, and book it online. Alternatively, you can phone 01603 334 085 or visit one of our showrooms. We are not tied to any franchise, so we are free to source fabrics from any supplier. 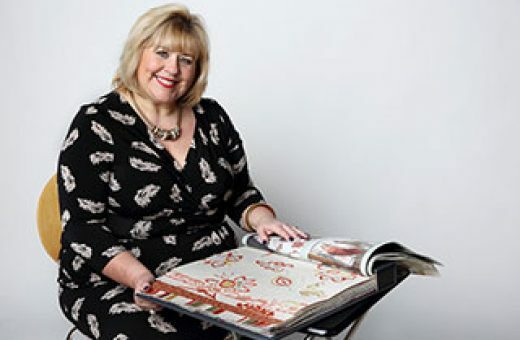 If you love design, you will love browsing through our fabric samples – whether in the showroom or in your home/ office. Fabrics range from modern innovative designs that give you more light and privacy control than you might expect, to beautiful embroidered and beaded fabric that add glamour and sophistication to any room. Whether you are looking for a plain roller blind for your bathroom or a glamorous window dressing for each room, we are happy to help. If you want the complete look, we can even make cushions and soft furnishings to match. Minimalist or luxurious, basic or delux – whatever your preference, we can help. 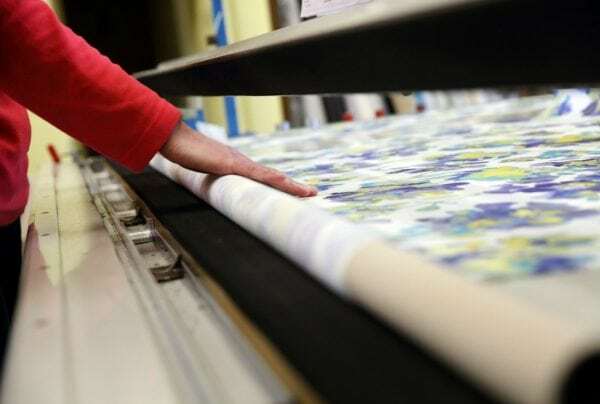 We source all fabrics and components from the UK where possible, thus reducing our carbon footprint, and we recycle our plastic, cardboard, and metal and supply offcuts of fabrics to schools, playgroups, and colleges. We can supply and install blinds with advanced specifications that reduce the heating bills in your home by up to 15%, helping save you money, and help save energy. If you order your blinds from us you will be safe in the knowledge that your blinds will not only combine the best of British design and functionality but also green and ethical manufacturing processes. Norwich Sunblinds also supply blinds to local homebuilder, Abel Homes, who specialise in building new, energy-efficient homes throughout Norfolk. All our products come with a 5-year guarantee. Many people tell us that our products last for years (luckily they recommend us to friends and family!) and we also have quality controls in place, but if anything does go wrong, you have the comfort of our guarantee. As we have been established for over 40 years, you know we are a name you can trust. Great British craftsmanship! They say you can’t have the cheapest price, the best service and a quality product. As a business, we have to decide where our priorities lie. We aren’t the cheapest for blinds and curtains because – well, if you wanted “cheap” you could pop into your local DIY store, buy a blind and hope it fits when you get home, not to mention all that balancing on a step ladder to fit it. With Norwich Sunblinds we do the measuring and fitting, and create blinds that are a perfect fit for your home or office. A reasonable price for quality products produced in Norfolk – plus great customer service – that’s our motto. In fact we are so confident in our product that we offer a 5 year no quibble guarantee. Many of our team have been working with us for years and have honed their expertise with us. Our experienced local craftspeople are based in Attleborough, and make our blinds by hand. Visit our shop in St Benedicts Street and you will find enthusiasm and knowledge. Many of our team love sewing and creating in their spare time as well as helping our customers choose the right window solutions. Alternatively, book a free consultation, and we bring our showroom to you. Book an appointment at your home or office at a time that is convenient for you, and tap into the experience of our advisors. They are happy to help you choose colours and textures to match your furnishings, and recommend the best type of window dressing for your room. There are a lot of options, with new fabrics and designs coming out all the time, so by booking a consultation, you can quickly find the best solution for your needs. We will not try to sell you something that you don’t need, or that isn’t right for your room.